User testing is the key to an effective web presence. Find out out how your stakeholders and intended audience relate to your website and what can be done to improve their experience. 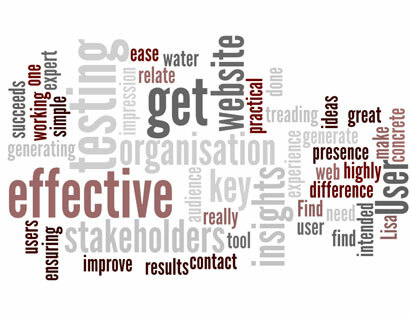 User testing can make the difference between a website that is treading water and one that really succeeds. It’s a highly effective tool for ensuring users get a great impression of your organisation and find what they need with ease. Lisa is expert in generating simple and effective user testing ideas that get concrete, practical results and generate key insights into your stakeholders. To get these insights working for your organisation, contact us.